Finding your motivation for staying on a diet may seem hard, but in truth it isn’t really very difficult. The key is to remind yourself of the reasons why you want to lose weight – for example, think about how your life will change once you get rid of all that extra weight you are carrying around, and think of how much happier and more fulfilled you will be. Doing simple things like these are the way to achieve lasting motivation. With that said however, dieting is not the simplest thing to do. Often it can be easy to get off track and feel like giving up. What is vital is not to allow little setbacks to knock you off course. 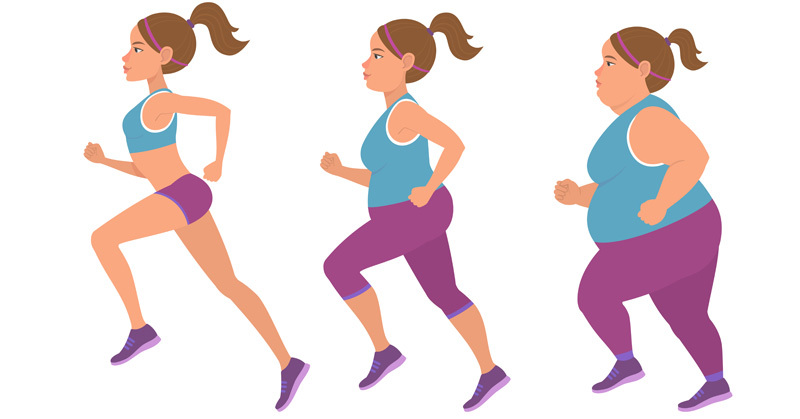 This article contains some simple practices you can put to use to keep your motivation to lose weight, despite setbacks or frustrations along the way. Make Sure You Maintain A Steady Pace It’s important to remain realistic with your goals and expectations. One of the biggest mistakes that most dieters make is attempting to lose large amounts of weight in a short amount of time. Losing too much weight is not healthy and the results never last. Instead, aim for steady progress and target losing 1-2 lbs per week. Don’t expect to lose anymore than that. Allow Yourself To Indulge From Time To Do It’s extremely difficult to stay on a diet if you deprive yourself completely of all the things you enjoy. Be Sure to give yourself occasional treat meals to look forward to while you diet the rest of the time. It’s not going to hurt you and it won’t disrupt your diet as long as you don’t give in too often. Make Sure You’re Not Alone This is the perfect motivation for dieting. Losing weight with someone else will add to your commitment and keep you motivated and encouraged. What’s more, you’ll feel even better because you’ll be able to help them succeed by encouraging them and preventing them from giving up. Having a buddy provides a lot of positive energy and lets people know they are not alone. Don’t Set Your Expectations Of Yourself Unreasonably High It’s important not to have expectations so high that you never allow yourself to make mistakes occasionally. Many people have day days or even weeks where they make mistakes and go off track. That’s probably going to happen to you too. These things happen to us all, and usually very often. Realize that these things can happen and don’t be too hard on yourself when they do, and just make sure you keep your main goals in sight and keep going when things get difficult. Maintain A Positive Mental Attitude Remain focused on your ultimate goal. Visualize how you will look and feel with your ideal body and keep this in your mind as often as you can. Thinking about how much better things are going to be will serve as the ultimate dieting motivation and keep you going in the most difficult of times. Consider The Consequences of NOT Losing Weight If you want to lose weight, most likely you aren’t happy with your current weight – use that to drive you. When you’re looking for motivation to lose weight, just think about how much you don’t want the body that you currently have. Imagine the consequences of not ever changing and always staying how you are now. You’ll end up nothing more than a dreamer who wished they could have lived their life the way they wanted to, but unfortunately, never did. The above are just a few great ways to stay motivated while dieting. Finding motivation for dieting is really important if you want to keep going. Giving up on your diet only leads to frustration. Using these tips will help you succeed, and create more satisfaction, happiness, and the high levels of health that you truly deserve in your life.